I call my Telrad my 1X Finder scope. For my most enjoyable star hopping, I use it exclusively to locate my telescope among the stars. Finders like this are very easy to use and many different types are available. It "projects" three red circles onto the sky with diameters of 1/2, 2 and 4 degrees. Basically you look through the Telrad while moving your scope to where you want to look. The beauty of the Telrad is that it's totally intuitive to use - you just look through it and aim. All you have to do is align the bullseye with the star you want to look at, and look through the eyepiece. No more confusing image reversal nonsense to remember as you peer through a small finder scope. 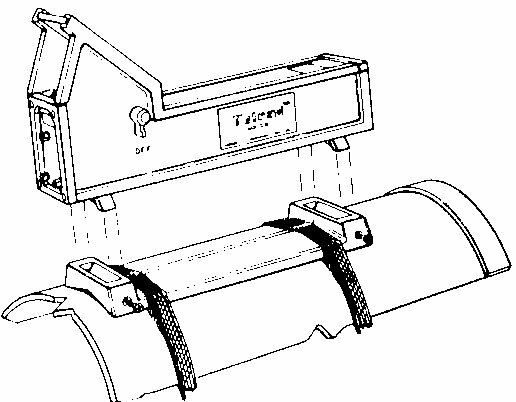 The Telrad was developed by Steve Kufeld of Pine Mountain, CA. Steve has saved countless telescopes from ending up in yard sales from frustrated beginners.